The RBA-Series diode pumped laser module has quickly become an industry standard; thousands of these workhorse components are in use around the world. 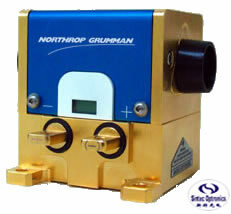 They have proven themselves to be a reliable, high-performance component in DPSS laser systems. 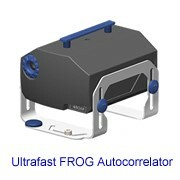 The RBA is a second-generation model that includes new features that make it even easier to integrate and service. 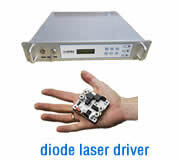 The RBA Diode-Pumped Laser Module is offered at power levels up to 100 Watts in a simple, compact, and affordable package. 4 Minimum 1064 nm multi-mode output in a short cavity (165 ± 5 mm, 0.75mCC HR/flat 80%R OC, 90%R for RBA20-0.33C4) CW oscillator, at a maxiumum 25A drive current, arrangement at delivery. 5 Required voltage at the pump head stated w/o consideration for inefficiencies in the electrical system. Your DC power supply should be oversized by 30% to allow for these inefficiencies. The RBA SilentLight series laser module incorporates a number of design enhancements that significantly reduce optical noise and improve beam pointing performance when operating in TEM00 laser resonators. With power ranges from 35W to 100W, the SilentLight module was designed to meet the needs of high finesse (single transverse mode, low noise) Q-switched laser applications. This reliable and efficient gain module can be used as the engine in new DPSS laser system development and production, or to convert existing lamp-based laser designs to state-of-the-art diode pumping. The Nd:YAG laser rod is side pumped by long lifetime laser diode bars, and the module is cooled by re-circulating filtered water through a simple non DI water chiller system. 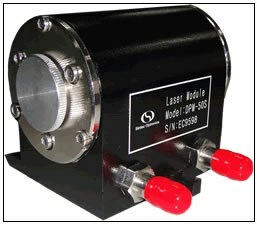 The REA Series Laser Module delivers the reliability and performance of diode pumping to high power industrial and scientific laser systems, virtually eliminating the downtime experienced by older lamp-based laser technologies. 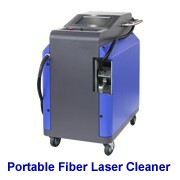 Drive your laser system up to 650 watts of CW power @ 1064nm. This reliable and efficient gain module can be used as the "engine" in new laser system development and production, or to convert your existing lamp-based designs to state-of-the-art diode pumping. 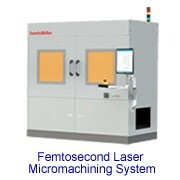 The Nd:YAG laser rod is pumped by radial arrays of efficiently coupled long lifetime laser diode bars, and delivers good pump uniformity and stable lensing performance. The laser module requires between 60 - 120 VDC diode bias from a reliable solid-state driver, and is cooled by re-circulating filtered water from a simple chiller system. 2 Minimum 1064 nm multi-mode output in a short cavity (280 ± 5 mm flat HR/flat 70%R OC) CW oscillator arrangement at delivery. Nominal Drive Current 25A and 40A for IC2 and IC4 respectively. 3 Max current is 32A and 50A for IC2 and IC4 respectively. Required voltage at the pump head stated w/o consideration for inefficiencies in the electrical system. The RGA Series Laser Module delivers the reliability and performance of diode pumping to high power kilowatt industrial and scientific laser systems, virtually eliminating the downtime experienced by older lamp-based laser technologies. 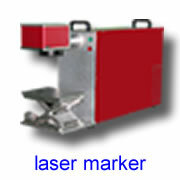 Drive your laser system to greater than 900W of CW power @ 1064nm. You can use this reliable and efficient pump cavity to serve as the "engine" in new laser system development and production, or to convert your existing lamp-based designs to state-of-the-art diode pumping. The head efficiently pumps a Nd:YAG laser rod by radial arrays of efficiently coupled long lifetime laser diode bars, and delivers good pump uniformity and stable lensing performance. The laser module requires ~ 150 VDC diode bias from a reliable solid-state driver, and is cooled by re-circulating filtered water from a simple chiller system. Central cooling water is not required. 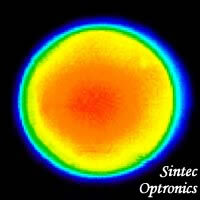 2 Minimum 1064 nm multi-mode output in a short cavity (400 ± 1 mm flat HR/flat 65%R OC) CW oscillator arrangement at delivery. 3 Max current is 50A. Required voltage at the pump head stated w/o consideration for inefficiencies in the electrical system.